Stunning example of a 86 Falcon that was originally built to MCA and could be easily coded again if desired. Just one Owner from new who only used her privately, hence VAT paid. Wintered ashore every year, lovingly maintained ARAMIS presents as a much younger yacht. Keenly for sale, we would recommend an early inspection, first to see could well buy. 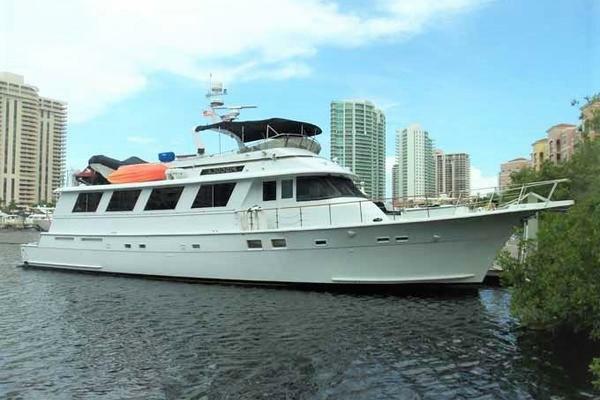 West Florida Yachts would love to guide you through a personal showing of this 85' Falcon 86 2002. 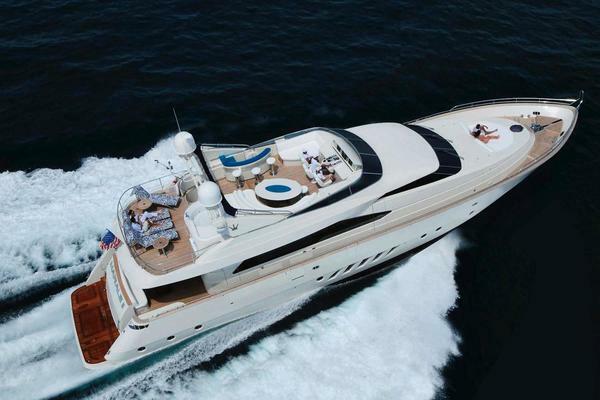 This yacht for sale is located in Viarregio Italy and priced at $1,100,000. For a showing please contact us by filling out the form on this page and we will get back to you shortly! Panic Buttons throughout the exterior decks. One VIP double, two twins cabins on the lower deck. Four twins crew cabins with bunks beds on lower deck.